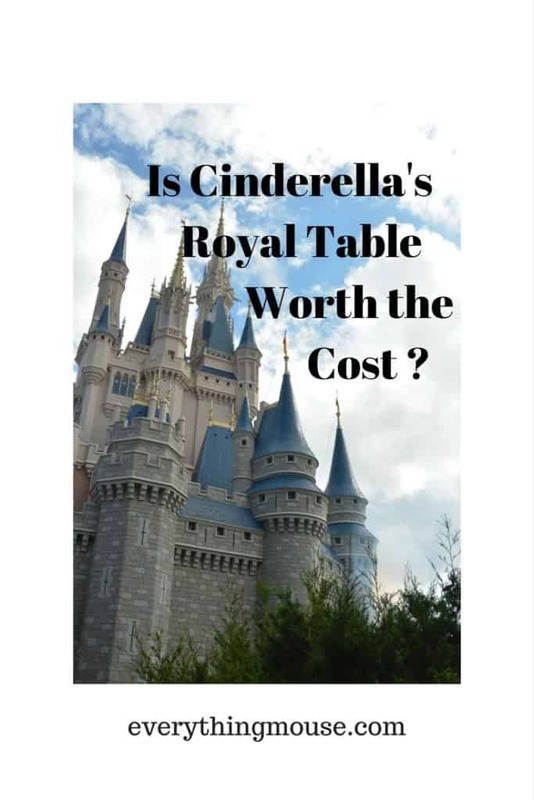 / Cinderella’s Royal Table – Is It Worth It? Have you ever wondered what Cinderella’s Royal Table restaurant is really like? 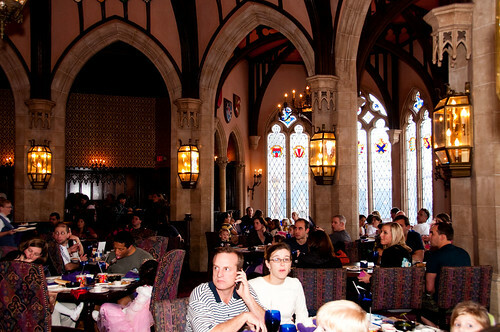 Located inside Disney’s Magic Kingdom castle it is the most popular restaurant in the whole of Walt Disney World. However, does it really deserve to be that popular? Is Disney Cinderella’s Royal Table worth the money? Anyone who has tried to make Cinderella’s Royal Table Reservations will know that sometimes it feels as though you have embarked on Mission Impossible! Unless you call right at the first minute of the first day you can make ADRs (180 days ahead for everyone, and up to 190 days ahead for Disney resort guests) then you will most likely be told that there are no tables left. So we know it is very popular! 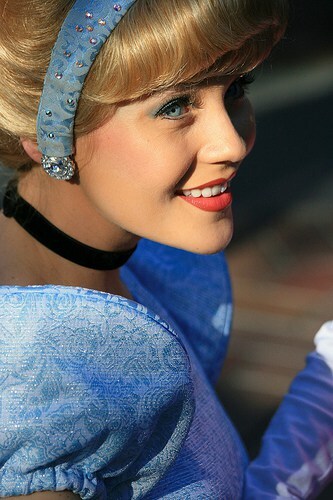 A Cinderella’s Royal Table Reservation is one of the most highly sought after of all things at Disney World! What if you don’t manage to get Advance Dining Reservations for Cinderella’s Royal Table? Try again. Sometimes there are cancellations and you will strike it lucky. Do remember though that there is a 24 hour cancellation policy. When you make your ADRs you will be asked for your credit card details. They will be charged unless you cancel within the 24 hours before you are set to dine. The charge will be the full amount of the meal, so always make sure that you cancel in time if you need to. Does the Cinderella’s Royal Table dining experience live up to the expectation? Of course it gives you a chance to actually get inside Cinderella’s Castle. For this alone it is worth it for many Disney World visitors. The interior of the restaurant is very well done. Just as you would expect the inside of the castle to look – lots of stained glass,stone work and wood. It is also much smaller than most people imagine – another reason why it is so difficult to get in! However, is this worth the very high Cinderella’s Royal Table pricing? Only you can really decide that. The Disney Cinderella’s Royal Table Breakfast is served from 8 am until 10.40 am every day in Magic Kingdom. It is known as Fairytale Dining at Cinderella’s Royal Table. It is pretty pricey. Breakfast at Cinderella’s Royal Table will set you back $58.29 to $64.13 for adults and $34.64 to $37.98 for children aged 3 to 9. 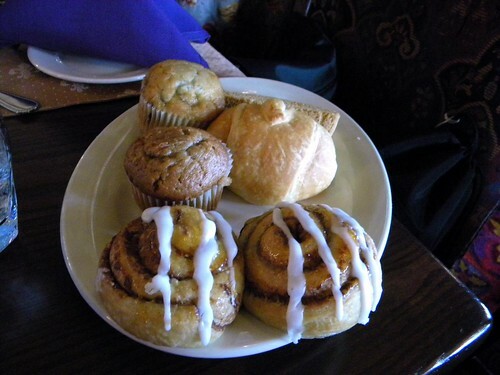 At the start of the breakfast meal at Cinderella’s Royal Table you will be served with a breakfast basket of pastries and breads for the table. We really can’t deny that this is a very expensive Disney Dining experience. It is something that you have to have on your Disney Experience Bucket List, but you also have to weigh up the cost of the experience. 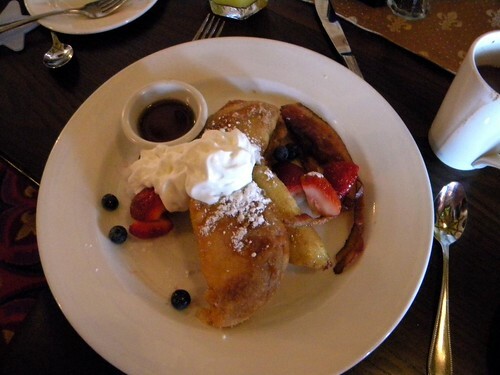 Even for breakfast you will be in for over $200 for a family of 4. Obviously this is a big chunk of change. However, it really is one of those things that we would recommend. If you have paid for the Disney Dining Deluxe Plan you should really try to get a reservation. The undeniable fact is that this is the only way to dine inside Disney Cinderella Castle in Magic Kingdom. Cinderella’s Royal Table restaurant is what is known as a photo package experience. What does this mean? The price of the meal also includes a photo with one of the characters. 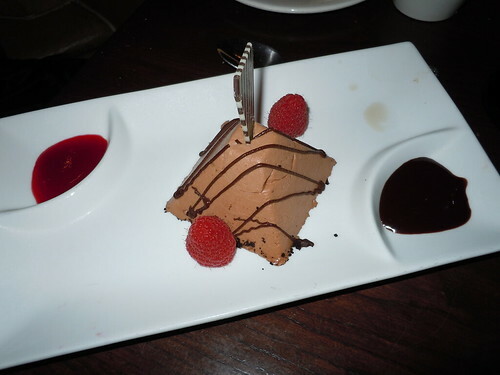 Many people love the fact that a photo is included with the meal. The photo package is four 4×6 prints and one 6×8 print of your photo, as well as one 6×8 print of Cinderella Castle in a Cinderella photo holder. Each party of 1 to 4 guests will get one photo package,5 to 8 guests will receive two packages. For me and for many other guests though the feeling is that it would be better if the price was lower and the photograph was not included. Personally I do not like to have to wait in line to have a picture taken. This may be because I have hundreds of pictures already of myself and my family with Disney characters! But I would prefer to be able to skip this part. The time with the characters is good for a Disney character dining experience. The restaurant is small so there is plenty of time with the characters. Who will be there? As with all Disney character dining restaurants the list can, and does, change so don’t promise your little ones (or yourself) a special character. However, the ones you are likely to find are Cinderella, The Fairy Godmother, Princess Belle, Princess Aurora and Snow White. You will probably want to know what the cost of lunch at Cinderella’s Royal Table is before making a decision. Maybe you need to be sitting down. Lunch or dinner ranges from $65.00 to $80.00 per adult and $45.00 to $65.00 per child aged 3 to 9. Gratuity is extra. A family of 4 will easily be spending around $250 to $300 on dinner or lunch at Cinderella’s Royal Table. Chef’s Tasting Plate – Cinderella has instructed her Royal Chef to create a selection of “Specialties of the Castle” for your enjoyment. So what is the food like at Cinderella’s Royal Table? Not great but not bad either. For that price I would expect a much higher standard. However, with this Disney restaurant you are going there for the experience of dining in Cinderella’s Castle. The food is fine, but nothing to get that excited about. There are plenty of choices including a Children’s menu. Some guests do report feeling rushed. So is Cinderella’s Royal Table really worth it? I would certainly say it is somewhere you should experience at least once. The unique quality of being located inside Cinderella’s Castle really is a lot of fun. However, it is expensive fun! Have an expectation that the food will be fine, but nothing that special. If you want to dine with Cinderella and have great food then try out dinner at 1900 Park Fare in Disney’s Grand Floridian. 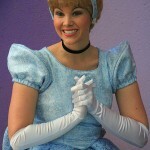 Overall Cinderella’s Royal Table is a good Disney experience though – if you can get in then you should give it a try. Photos used under Creative Commons from armadillo444 unless stated otherwise.